This has been a sweet-filled month! 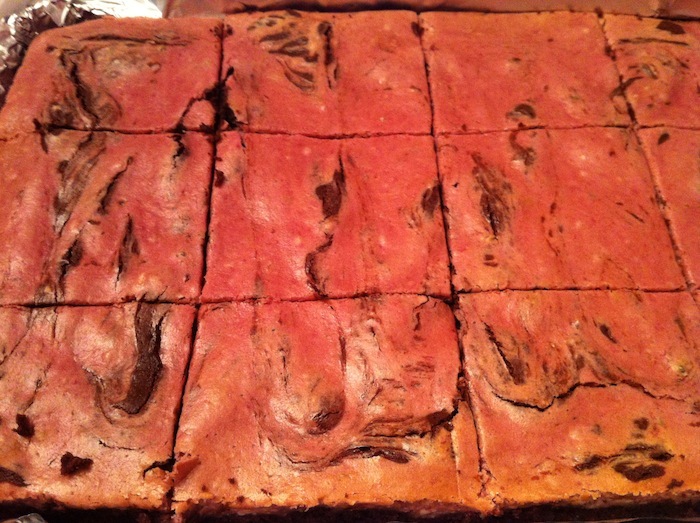 To keep the treats rolling, these Raspberry Cheesecake Brownies were something I made a few weeks ago for Carroll Cafe, the monthly concert hosted at my church. 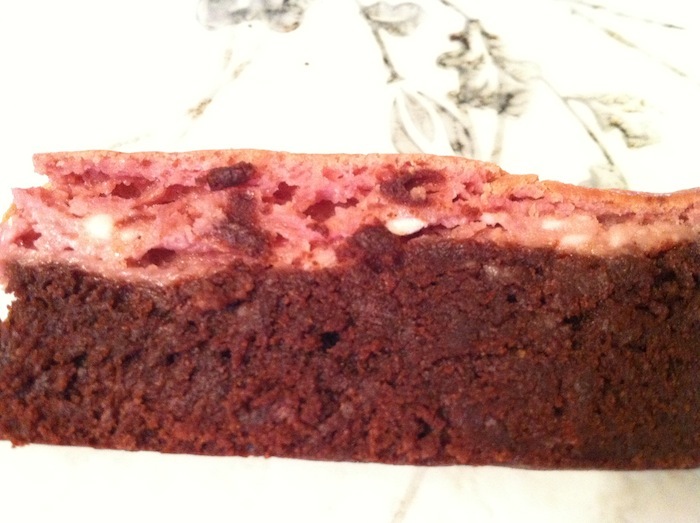 These fudgy brownies are topped with a creamy, sweet raspberry cheesecake. These add a fun new twist on the classic brownie. With an electric mixer, beat cream cheese until smooth. Beat in the sugar, then slowly add the raspberry puree and the remaining ingredients, beating until smooth. Set aside while making the brownie batter. Preheat oven to 350°F. Line a 9×13″ pan with aluminum foil and grease with cooking spray, set aside. In a large bowl, beat eggs with an electric mixer until light and fluffy, about 3-4 minutes. Add in the vanilla and both sugars. Add in butter, mixing well. Sift together the dry ingredients and fold into the wet mixture. Pour batter into prepared baking sheet, then top with raspberry cheesecake mixture. Bake for 40-45 minutes, until a toothpick inserted into the center comes out clean. Remove from oven and allow to cool on rack.